Spice it up a bit and pick two of the four designs to make your own pair! 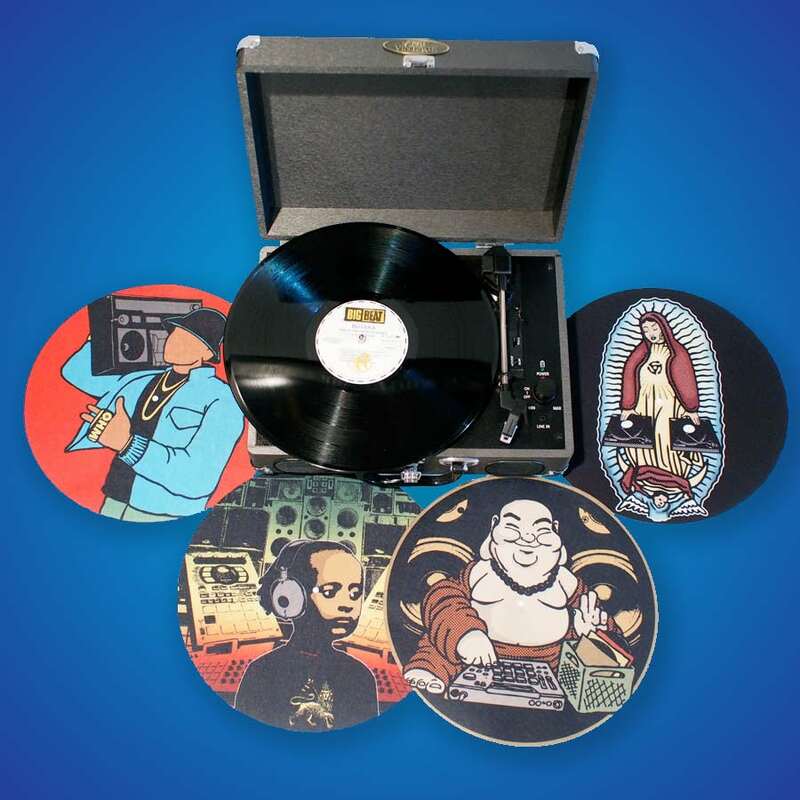 Choose from DJ Guadalupe, Ras Tafar I, Buddha Beat Junkie or LL Oldschool. These slipmats are made of polyester fibers, a starchy material and compressed with high heat to give the mats a thin & firm density. This is not only for better spin performance but to avoid distraught resolution of image. 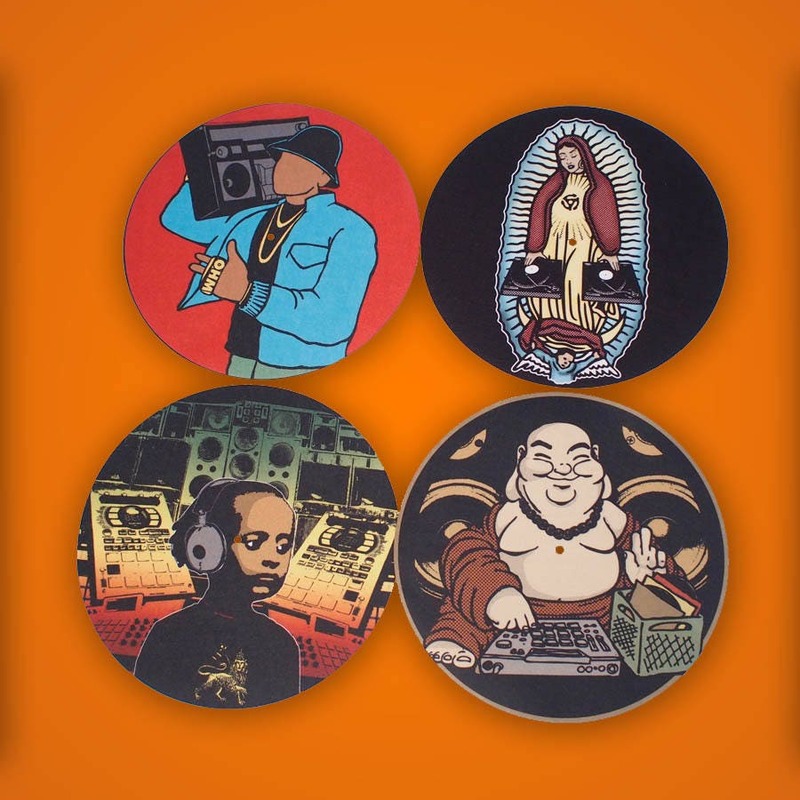 These vibrant colored slip mats are more like a Technic feel without the bulk. This price is for a pair. Please specify your selection when placing the order.